Coulee Progressives: STAND UP FOR THE PLANET! Yes we DID! STAND UP FOR THE PLANET! Yes we DID! 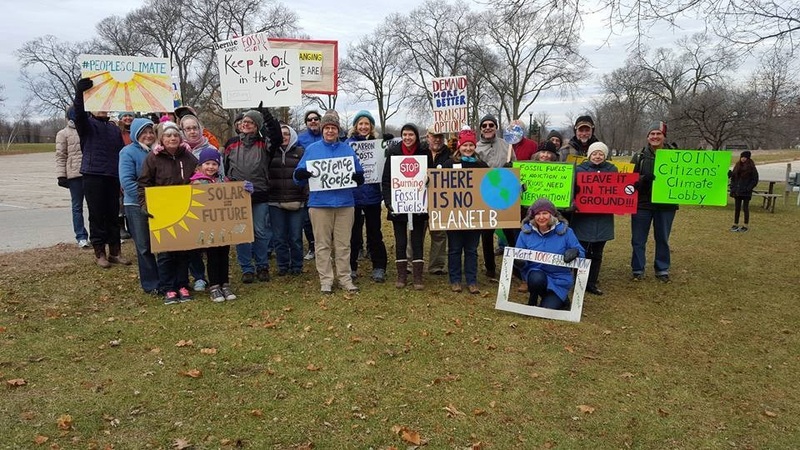 About 40 people came to STAND UP FOR THE PLANET on Sunday, November 29. Great signs and great ideas. Thanks to Kathy for setting things up, Ken for the news release, WXOW for covering the event, Greeengrass Cafe (1904 Campbell Road) for staying open late so the group could meet afterward, and all of us for showing up! Our NEXT event will be on Saturday, December 12. We'll meet at 2 p.m. at the "Burger King corner" - where La Crosse Street meets Copeland Avenue/Fourth Street. Bring your sign (and, if you can, bring one or two new people!) Organizers Jacob and Avery have a spot for us to meet up afterward to plan our next action(s). PLEASE SIGN UP FOR THE DECEMBER 12 EVENT and share the sign up link: tinyurl.com/laxclimatemarch2 Here's a link to the FB event. Please tweet, share, and spread the word. And be thinking of what local changes we can make/encourage/demand to reduce La Crosse's CO2 emissions. TICKETS STILL AVAILABLE - LARGER THEATER! !